Deep in thought the gorgeous deep blue face vase is a charming, sophisticated and eclectic decorative vase for your home. 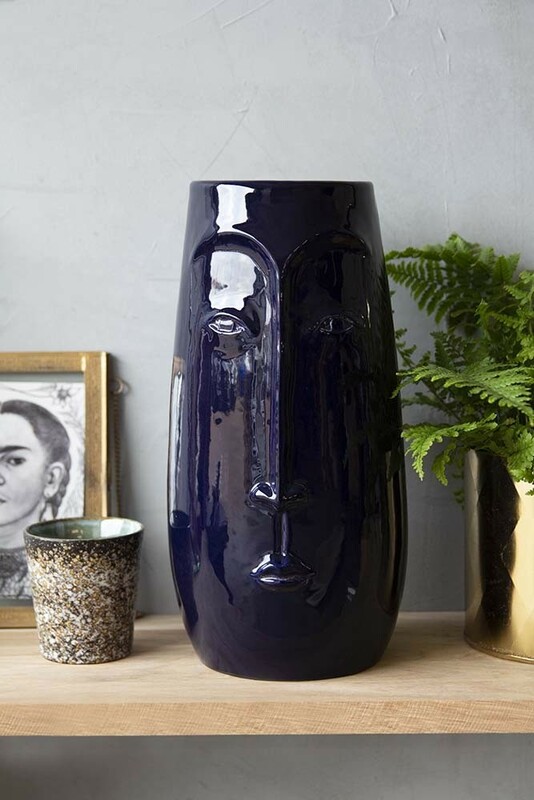 Super quirky the Azul Blue Deep In Thought Face Vase is a great Aztec design flower pot that will add personality to your home without much time money and effort. What’s not to love?! 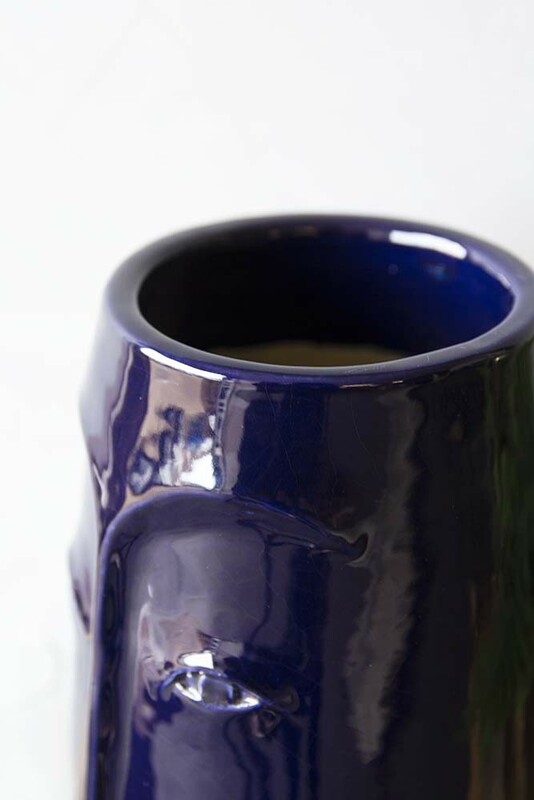 Handmade, the Azul Blue Glazed Pottery Face Vase we think that the display vase is the perfect long stem flower vase for your favourite buds and greenery such as eucalyptus. 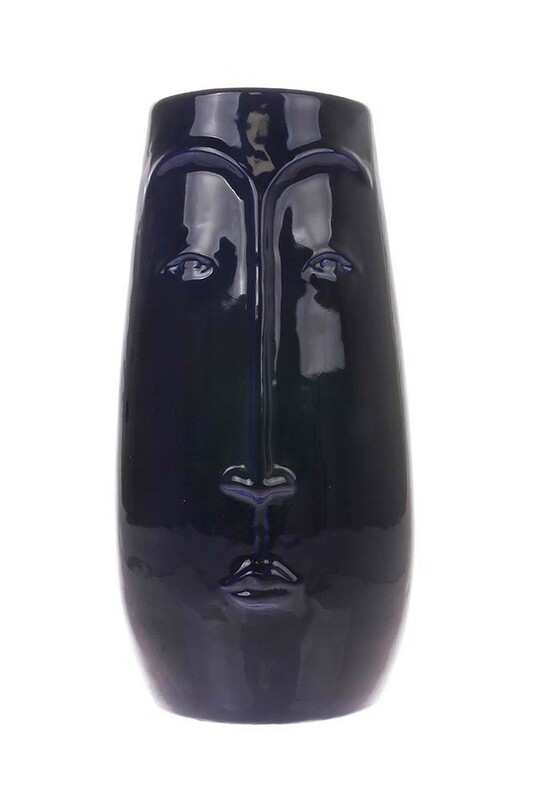 A wonderfully unique home accessory, this unique piece would make an exceptionally lovely present for your loved ones, friends and family. 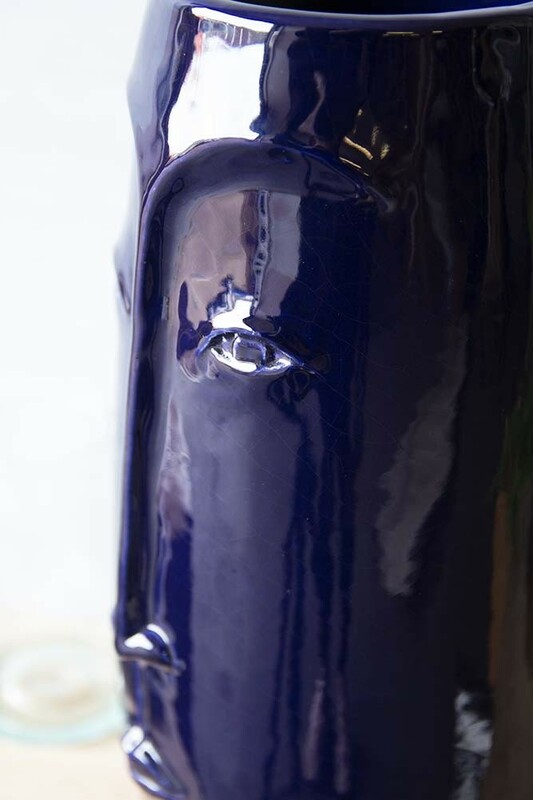 RSG Top Tip: Style the Azul Blue Deep In Thought Face Vase on your coffee table, mantelpiece, book shelf and side tables with candles and decorative pieces that are either textually interesting, add colour to your interiors or add height, layers, and dimensions to your home to create a showstopping style spot that wows!